Pastor Dan Massey UE BRE was raised in Rockport, Ontario and attended Secondary School in Gananoque. At the early age of 10 he committed himself to a personal relationship with Jesus Christ. Pastor Dan was a Programmer/Analyst by profession for 13 years and sensed a calling into the ministry in the early 90's. He has since earned a Bachelor of Religious Education Degree in Pastoral Studies with Honours from Master’s College and Seminary and was ordained by the Free Methodist Church in Canada in 2000. 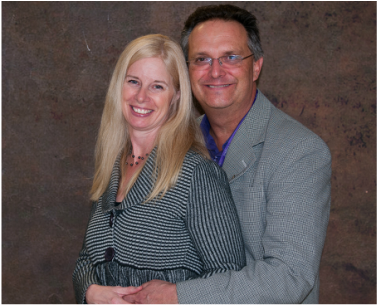 He came to Pine Grove with a 21 year history of fruitful ministry at the North Grenville Community Church in Kemptville, Ontario. He and his wife Ann were married in the old church at Pine Grove in 1985. Pastor Dan and Ann are the proud parents of two adult sons Jared (Jaclyn) and Evan. Jared and Jaclyn live in Cornwall, Prince Edward Island where he is a carpenter and she is a teacher. Evan lives in Ottawa where he too is a carpenter and studying music at Carleton University. Their family tree continues with 3 grandsons Hudson, Beckham and Westin. Pastor Dan's rule of ministry is People First. Do you need spiritual care, a listening ear, a place to be heard, prayer? Pastor Dan's office is a place where you are welcome to be.